“When you sit down to talk with many guitar luthiers, the story of how they got into building is often uncannily similar: They fell in love with the sounds of some famous guitar god during their teen years and started playing not too long after that. Eventually they took their first foray into DIY by modding their own instrument, followed by a stab at replicating, say, a Tele, a Les Paul, or maybe some sort of “super strat.” The more they played and tweaked, the more they loved it all, but at some point it hit them that they were either better at (or more likely to make a living via) the wood-and-wires side of things than the playing side. I would like to show my appreciation for everyone who supported and encouraged me to believe in the path I am walking. Special thanks to GuitarRehab Lisbon ‘s team, Shawn Hammond from Premier Guitar for the interview, and Rodrigo Sérgio , Pau Storch Photography and Sara Falcão for the photos. I would like to also thank The Holy Grail Guitar Show / HGGS The European Guitar Builders e. V. for the work they are doing to raise the bar in the guitar world. The Ergon Lx-Nazaré, featured on the cover, will be displayed at the Boutique Guitar Showcase in the NAMM Show, from January 24th to 27th. The interview will feature on Premier Guitar’s Febuary issue. In the meanwhile, you can read the full interview here. 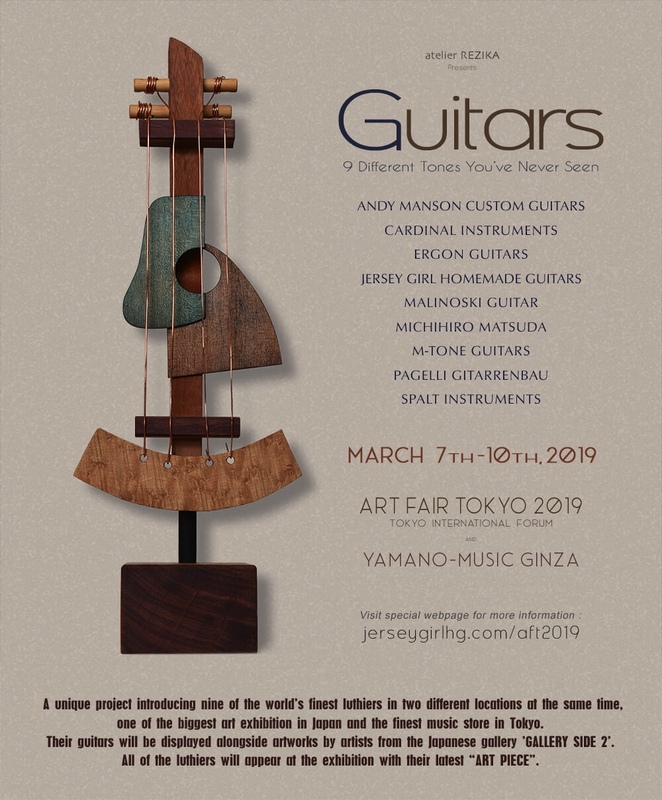 Titled “Guitars – 9 Different Tones You’ve Never Seen”, the show will take place March 7th to 10th, and the instrument will be displayed alongside the artwork of artists belonging to the the gallery “Gallery Side 2”. The instrument will also have a showing at the finest music store in Tokyo, Yamano-Music Ginza. Learn more about the luthiers and the ehxibition here. The NAMM Show 2019 is approuching, and Ergon Guitars will have the pleasure of being part of it’s “Boutique Guitar Showcase”. 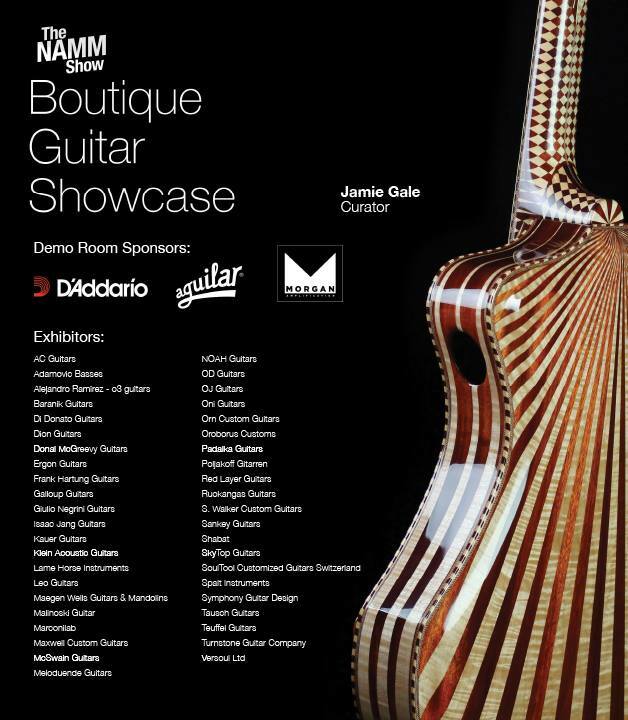 Consisting of a select group of invited luthiers, the showcase will present some of the finest instruments of the boutique guitar world. The show will take place between January 24th and 27th in Anaheim, California (USA). More details regarding the exhibition inside the Anaheim Convention Center to follow. Lx Narazé – Inspired by the giant waves that crash on the shores of Nazaré, in Portugal. BT MW – A custom order influenced by the mythical ’59 sunburst. Porto Douro – An over-sized hollow body, with a design inspired by the shape of a windshield crack and the winding turns of the Douro river. 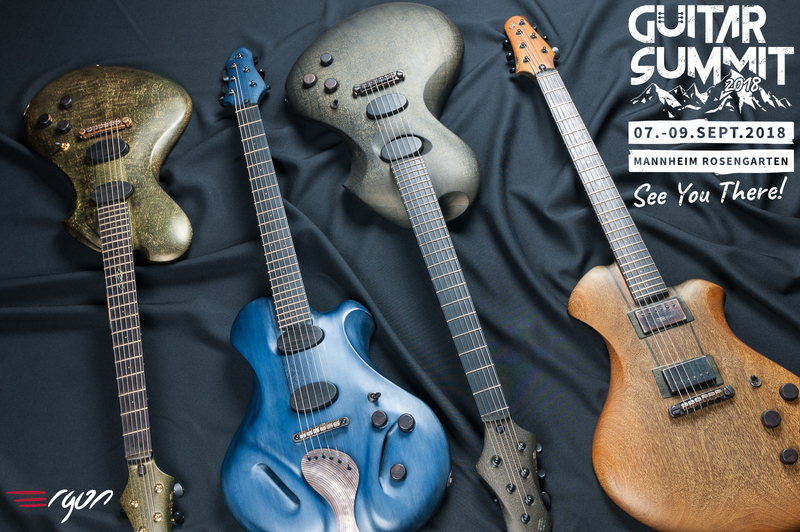 You can have the chance to see and listen to these instruments at this year’s Guitar Summit in Mannheim, Germany. We will be exhibiting from September 7th to 9th, in the Rosengarten. Click here for more information on the show’s program. Ergon Guitars will have the pleasure of being part of Guitar Summit 2018 in Mannheim’s Rosegarten this coming weekend. From September 7th to 9th you can come by our spot in the exhibition and see the four instrument with brought with us to the show – Coimbra MK, Lx Narazé, Porto Douro and BT MW. Enjoy the chance to look and listen to them in person! 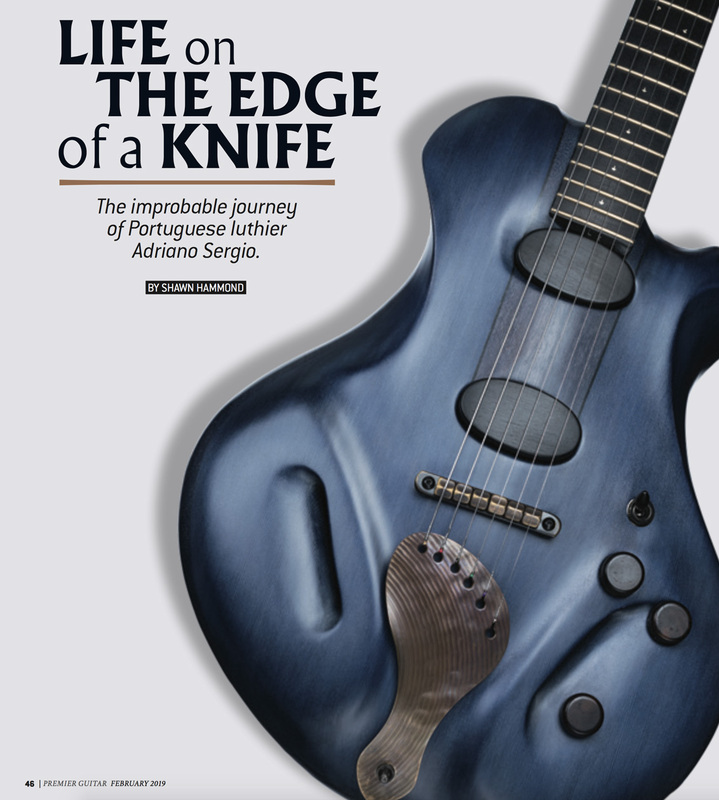 Ergon Guitars had the pleasure of sitting down with Nicolai Schneekloth from Vintage & Rare and talk about Adriano’s guitar building journey and demo the instruments showcased in the Holy Grail Guitar Show 2018 – the Lisboa WB and the Coimbra JR. If you missed the chance to be at the Holy Grail, check out the video to watch and listen to some of the latest takes on two of our desings. Also visit Vintage & Rare for a selection of some of the finest instruments available online. 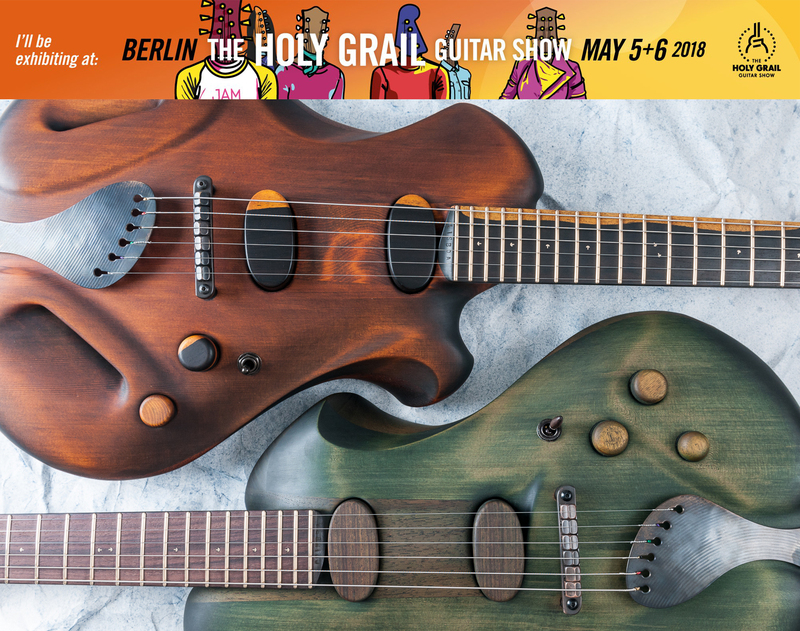 The Holy Grail Guitar Show will be back in Berlin, and Ergon Guitars is honoured to once again share the exhibition will a select group of the most talented and interesting luthiers and guitar builders in the world. The show will take place in the Estrel Hotel in Berlin (Germany), on May 5th and 6th. Alongside the show, you can hear the instruments in democoncerts and atend lectures and panel discussions with interesting themes for all guitar lovers. Check the program and take your pick at what catches your attention. We teamed up with MUD cycles to create a case/bag for Ergon Guitars. The first prototype is in and we couldn’t be happier. It’s made from high quality leather, wood and cork and will be made in a bunch of different colours. Thank you to the MUD cycles family for doingsuch a great job on this one!